Nowadays, a need for constant communication plays an essential role in forming and keeping relationships – using instant messaging apps are a thing to look out for. With the release of Hangout 2.0, it is a lot easier to have communication syncing seamlessly across different devices that you use. For example, you had a conversation from work using your Mac device, went home and continued your conversation on your iPhone, and finish it using your iPad as you prepare for nighttime. Hangouts 2.0 is not the only service that offer this kind of feature but also iMessage and Facebook. However, there are circumstances where a need for the other messaging apps such as WhatsApp, Kik, or LINE Messenger is sought after. iMessage is a good app but, it can’t be denied that it offers inconsistent notifications, duplicate chat messages with the same contact, and late delivery of messages. It is inconsistent in syncing conversations across different and multiple devices. Some messages are sent to an iPhone an hour later or some messages aren’t even sent on a Mac device even after you perform a restart on the device. Facebook offers a consistent service. However, some people don’t use Facebook for messaging. Some people use Facebook solely for posting updates photos or other form of socializing. As for messaging, some people prefer other messaging apps rather than use Facebook. LINE, WhatsApp, and Kik are messaging apps that offer a lot of features that makes communication a lot easier and enjoyable. Some of these services provide intensely cute stickers that makes interacting with other people more fun. 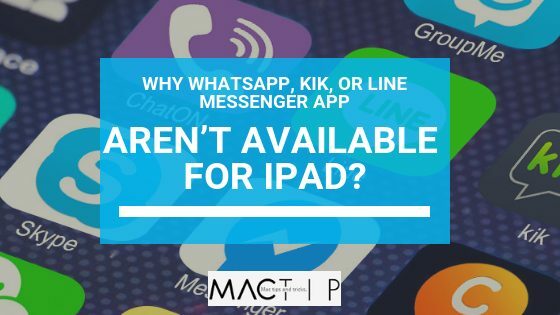 However, these messaging apps are not available on the app store for iPad devices. 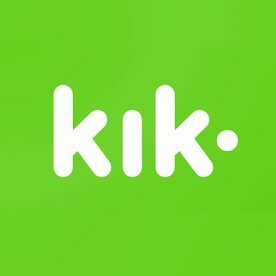 When you search for Kik and WhatsApp in the app store on your iPad, you won’t find any. This is because there are no official WhatsApp and Kik apps suitable for iPad. As for LINE messenger for iPad, you cannot register a new account using your iPad. You need to have smartphone LINE account to use this app. Also, there are many features that you just cannot use when using your iPad. It should be stated that Kik and LINE messenger can work on your iPad, but these are not the universal apps. Also, using the LINE on your iPad logs you out of your LINE account on your iPhone. You can also use Kik messenger on your iPad by using the iPhone version. However, this app won’t look nice on your screen. The graphics will either be too small, or it won’t look nice when the graphics are increased into size by two times. It should also be noted that LINE is available on Windows 7 + 8 and OS X. If developers have the time to develop a desktop app version, won’t it be better if we can use find these apps on iPad as well? In conclusion, it is time for developers to step up their game and offer chatting services and provide us with the universal app not only for smartphone but also for the iPad.